Astrologer Julia Bonatti never thought her chosen profession would bring danger into her life, but her outspoken advice in her newspaper column, AskZodia, makes her the target of San Francisco’s recently-arrived cult leader, Reverend Roy of the Prophet’s Tabernacle. The followers of the power hungry preacher will stop at nothing to quell the voices of those who would stand in his way and Julia’s at the top of his list. She’s willing to bet the charismatic Reverend is a Mercury-ruled individual, and she knows all too well that Mercury wasn’t just the messenger of the gods, he was a trickster and a liar as well. I glanced down at the map with one eye on the road. I had covered a lot of ground. The turnoff to Ardillas was ten miles away. My cell phone rang and I glanced at the number. It was Don. I hit the button to answer. I wasn’t used to being worried about, much less someone asking me not to do something. Don had a point, but I know what a stubborn cuss I can be. Just his asking nicely felt like an order and it put my back up. It’s not a trait I’m proud of, but I have an irresistible tendency to do the exact opposite of what I’ve been told to do. Sheer contrariness, I guess. Don’s pleas were falling on deaf ears. “I can’t. I can’t see the point of turning around now that I’m almost there. Don’t worry. I plan to talk to the Sheriff and scope things out. Maybe I can get help from that quarter. Mostly, I just want to locate Eunice. And if I can get in and talk to her, then I can at least tell Dorothy where things are at. “I will.” I clicked off just as the sign indicating the town’s one exit sped closer. I flicked on my turn signal even though no other cars were near – force of habit -- and moved over to the far right lane. The exit appeared and I turned off, heading east onto a lonely two lane road. Connie di Marco is the author of the upcoming Zodiac Mystery series from Midnight Ink featuring San Francisco astrologer, Julia Bonatti. 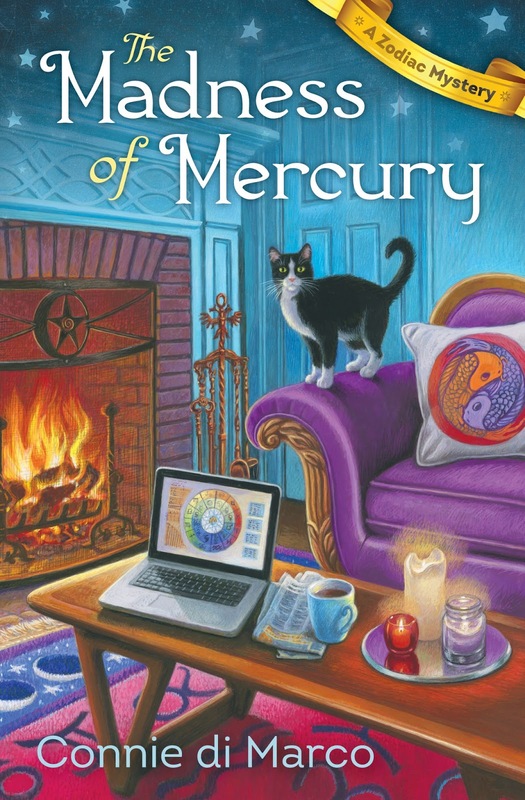 The Madness of Mercury, first in the series, will be released on June 8, 2016. Writing as Connie Archer, she’s also the national bestselling author of the Soup Lover’s Mystery series from Berkley Prime Crime. You can find her excerpts and recipes in both The Cozy Cookbook and The Mystery Writers of America Cookbook. She is a member of Mystery Writers of America, International Thriller Writers and Sisters in Crime. 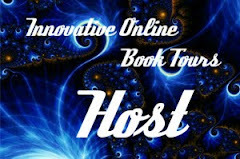 You can visit her at her http://www.conniedimarco.com or Facebook.com/ConniediMarco (Author) and Twitter: @askzodia. Buy the book at Amazon, Barnes and Noble, or IndieBound. I really enjoyed reading the excerpt. This book sounds like such an exciting, interesting, and intriguing read! Totally can't wait to read this book! Hi Ally - Great to see you here! I'm so glad you enjoyed the excerpt and best of luck! 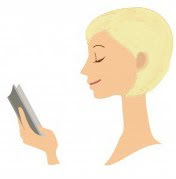 Many writers describe themselves as "character" or "plot" writers. Which are you? What do you find to be the hardest part of writing? Well, you have to pay attention to both, but I enjoy working out plots and not making it easy for a reader to guess 'Who Dun It.' And I think the hardest part is continuing to write even if you're not sure you have an interesting story. It's like stepping into the unknown and having faith you'll get to the end. Best of luck, Mai! Thanks so much for hosting my stop today! Terrific giveaway and I want to thank you for the opportunity to win it. Good luck to you, James! Thanks for stopping by today! Hi Becky - best of luck! Glad you could visit! Hi Victoria ~ you're welcome! Thanks for stopping by and good luck! That's the start of me screaming, "No turn back!" Hi Kim ~ "No turn back?" Hi Mary - Great to see you here. Thanks for visiting and good luck!